With Coachella Valley Music & Arts Festival starting this weekend, you could say that music festival season has officially commenced. From Lollapalooza to Outside Lands, festival-goers everywhere are getting prepped to look fun and fashionable as they dance the night away at these legendary festivals. While a lot of current festival beauty trends include theatrical, over-the-top looks (like space buns, glittery unicorn braids, and bejeweled makeup), my approach to festival beauty is a bit more subtle. 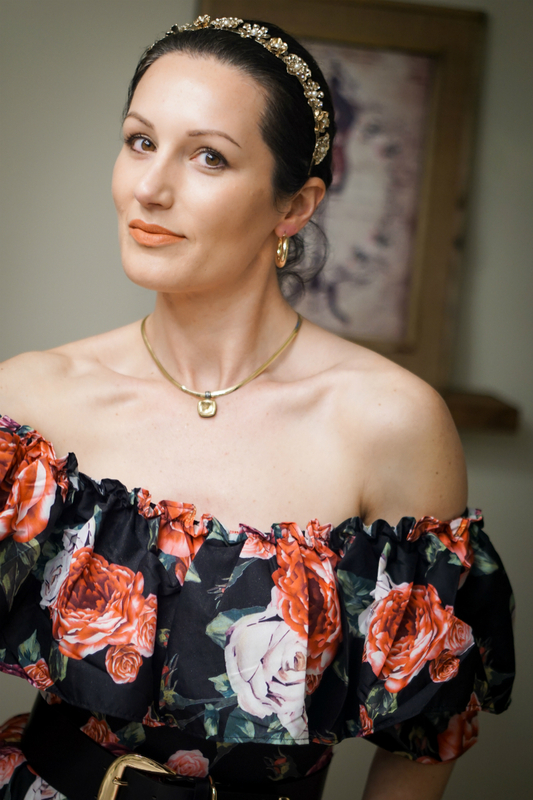 Having gone to music festivals for years, I’ve learned that a romantic boho chic vibe is just as effective at getting compliments as a wild, wear-anything look. Inspired by dreamy desert nights and enchanting super blooms, today’s festival beauty guide shows how to create a romantic beauty look that looks gorgeous day or night. For hair – since a lot of these music festivals get hot during the daytime, sweeping your hair up is a smart way to stay cool. A sleek bun is an easy way to pull your hair up. To add a whimsical touch, a gold-toned flower crown (like this headband from Forever 21) finishes the look. For your makeup – a warm eyeshadow palette combined with bronzed skin, a dewy glow, and a vibrant peach-colored lip exudes a soft, springtime vibe that’s both flattering and feminine. 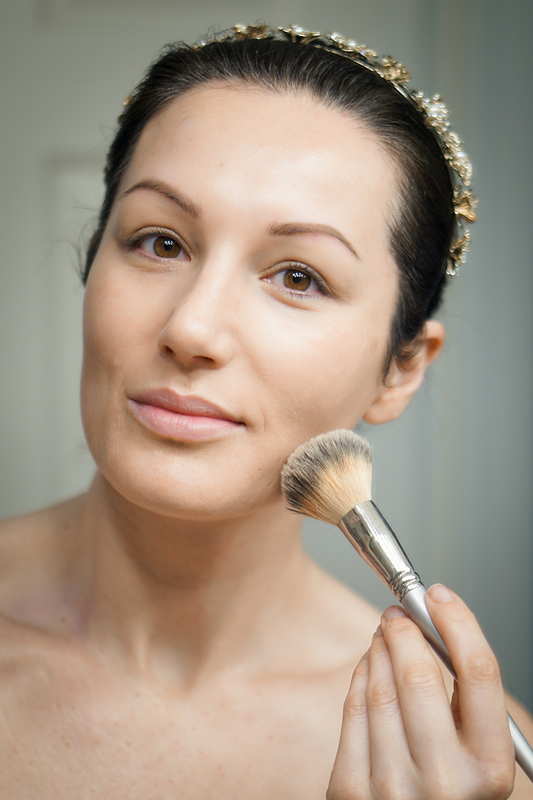 Step 1: To create a smooth canvas for makeup application, prep the skin. Start by wiping away any dirt, oil, or makeup residue with Simple Cleansing Facial Wipes. Then smooth 1-2 drops of Cliganic Jojoba Oil over the skin for that radiant natural glow (don’t worry – jojoba oil won’t clog pores or cause breakouts). Follow with a dime-sized amount of Peter Thomas Roth Water Drench Cloud Cream to hydrate the skin all day. To protect your skin from damaging sun rays, finish with sunscreen (like Purlisse Pur-Protect SPF 30). 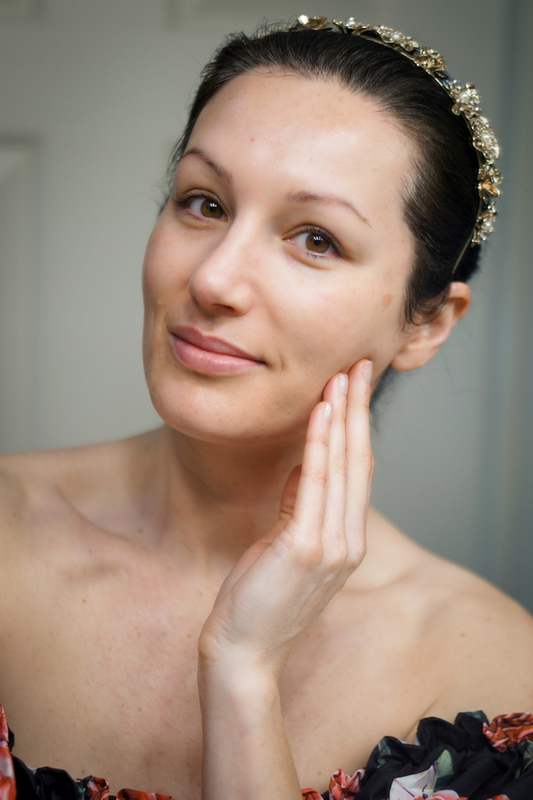 Step 2: Using a damp makeup sponge or brush, apply a nickel-sized amount of a tinted BB Cream (like Purlisse BB Tinted Moisturizer Cream) all over the skin. 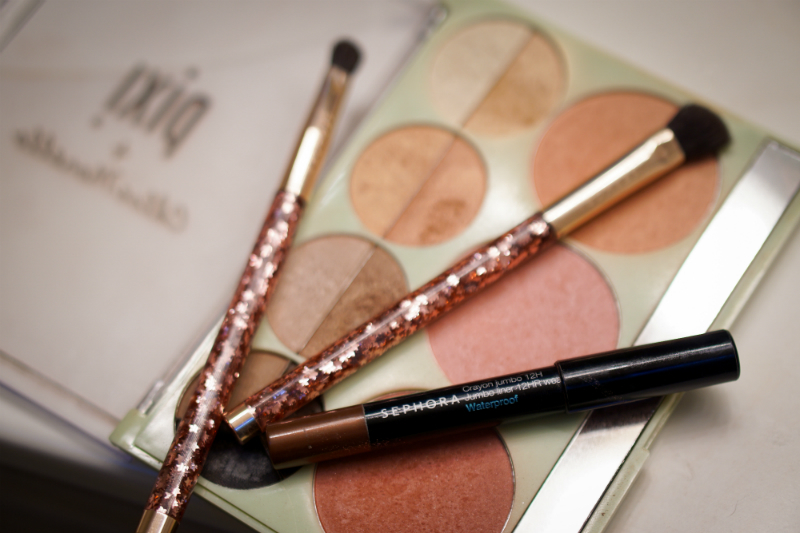 Thoroughly blend in to ensure it looks flawless and natural. Step 3: If needed, apply a small amount of brightening concealer (I recommend Charlotte Tilbury Magic Away Liquid Concealer) under your eyes and on any red spots. 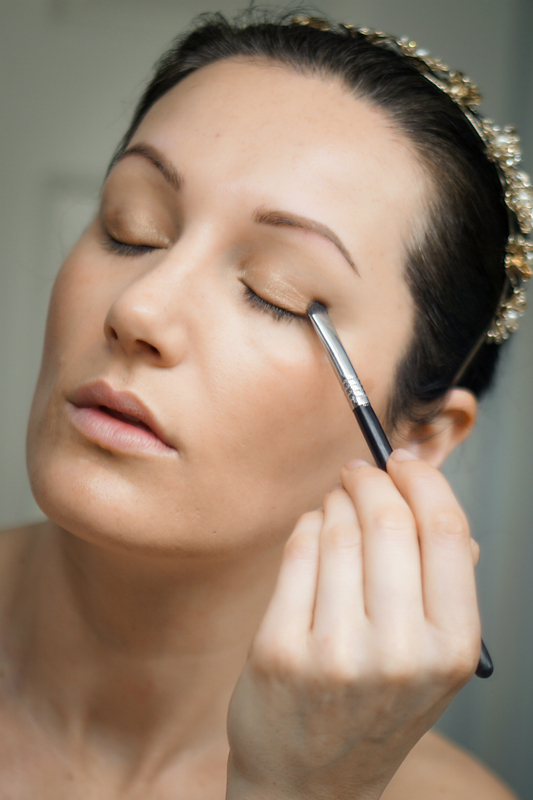 Step 4: Fill in sparse areas of your eyebrows with a brow pencil (such as Anastasia Brow Wiz Pencil). 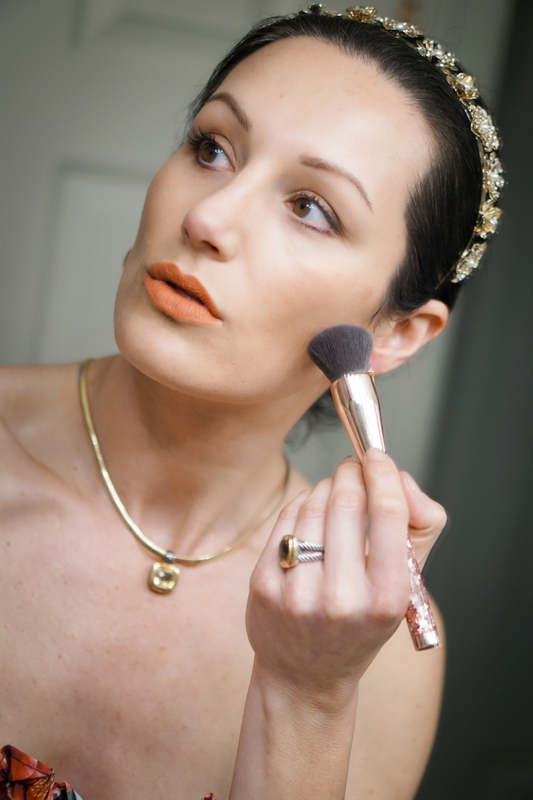 Step 5: Lightly apply a soft peach colored blush to the apples of your cheeks. For this look, I used the color “Promise” from the Pixi Palette Chloette. 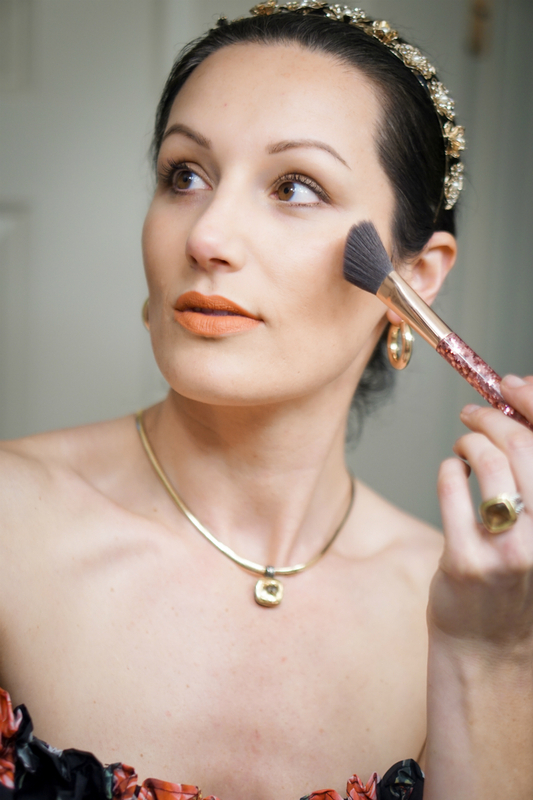 Step 6: Using a flat eyeshadow brush, apply a wash of pale gold shimmery eye shadow to the eyelids. For this look, I used “Veil” from the Pixi Palette Chloette. Step 7: Using a small eyeshadow brush, rim the upper lashline with a shimmery bronze eye shadow (such as “Passion” from Pixi Palette Chloette). Using the same color, lightly apply the shadow on the outer corner of the lower lashline. 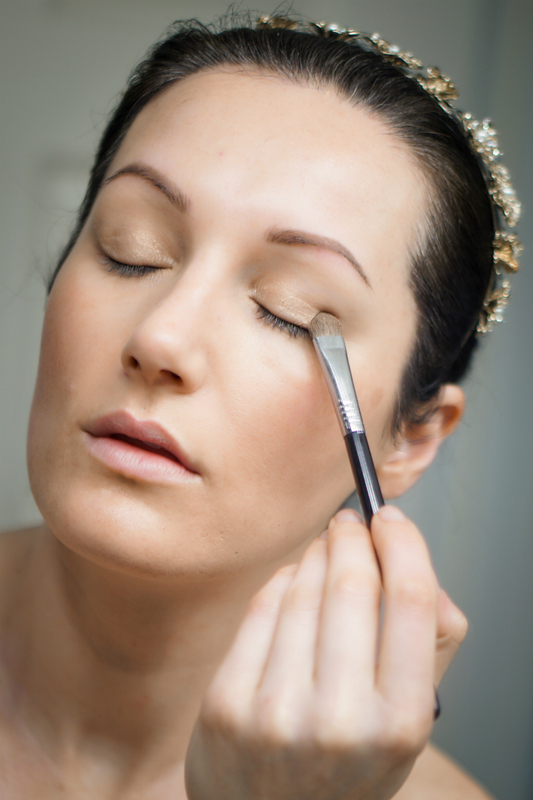 Step 8: For a more dramatic effect, line the lashes with a brown colored eyeliner (such as Sephora Jumbo Eye Pencil). Smudge the line with your clean finger for a soft, smokey look. 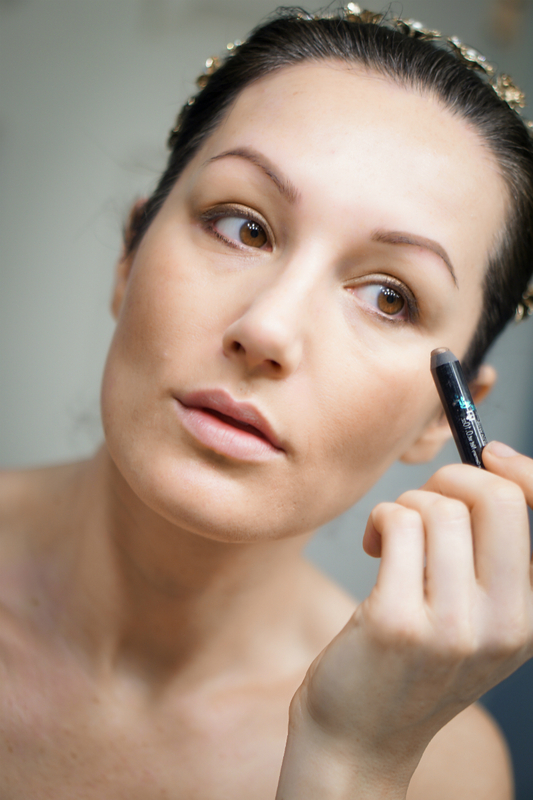 Step 9: Apply 2 coats of black volumizing mascara to the upper lashes. A fiber-based mascara (like Divaderme Fiber II Wings Mascara)instantly adds lush fullness without requiring you to apply false lashes. 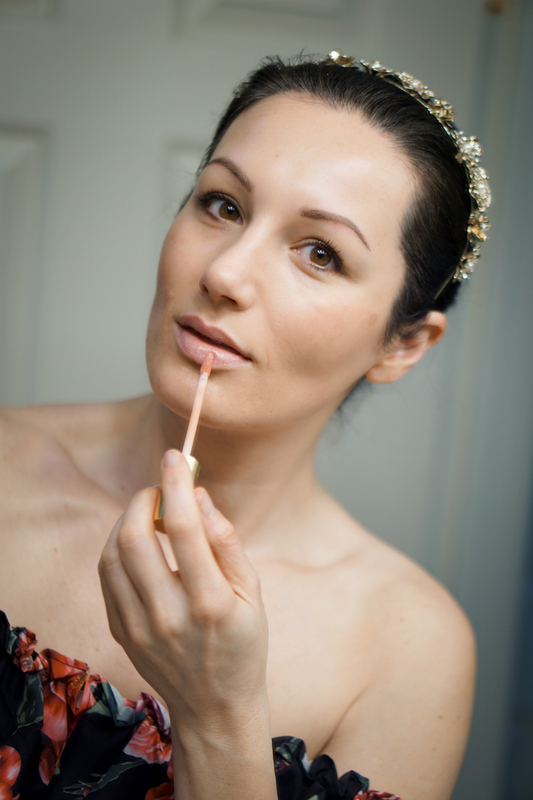 Step 10: To make your lips look fuller swipe on a lip plumping gloss (such as City Beauty City Lips Plumping Lip Gloss). This helps to smooth away the appearance of fine lines (on your lips), in addition to making your pout look a bit plumper. Plus, it acts as a great base for lip color. 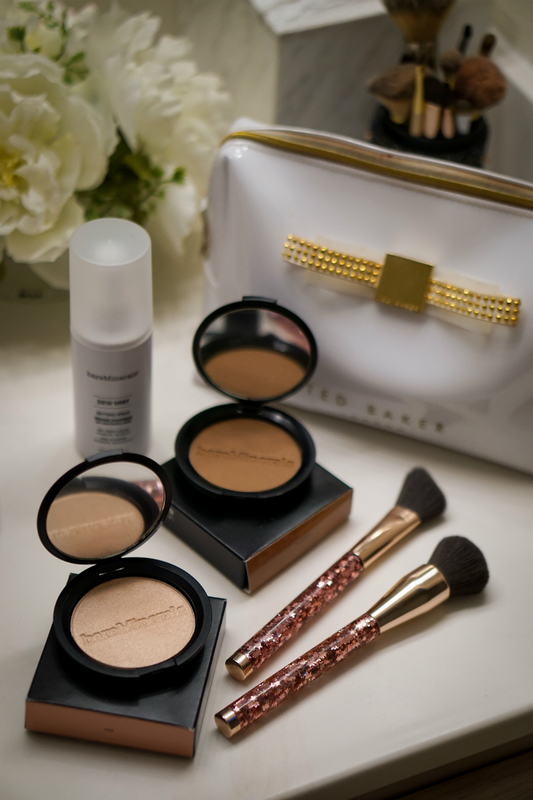 Step 11: To warm up the skin, apply a warming bronzer (such as BareMinerals Endless Summer Bronzer) to the cheeks, temples, and forehead. This gives you a sun-kissed look, which is a must for hot festival days. 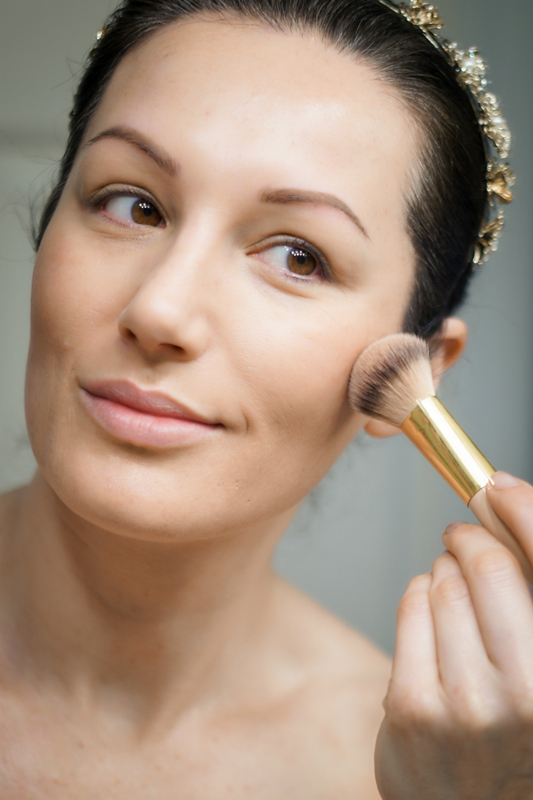 Step 12: To create a luminous finish on the skin, lightly apply a pink highlighter (like BareMinerals Endless Glow Highlighter)to the cheekbones, browbones, cupid’s bow, and down the center of your nose. 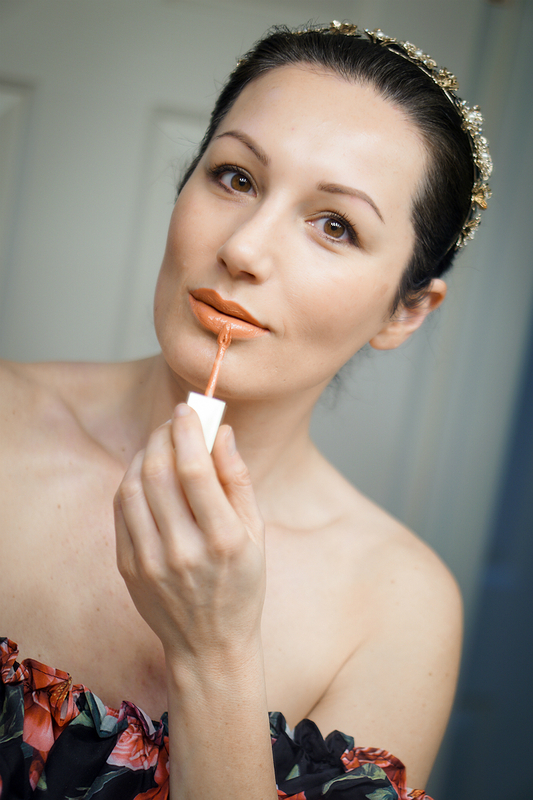 Step 13: To brighten your face, a peach-colored lip adds a fresh vibe to your festival beauty look. To help your lip color last for hours, opt for a long-wearing, hydrating lipstick (such as Pixi by Petra MatteLast Liquid Lip). 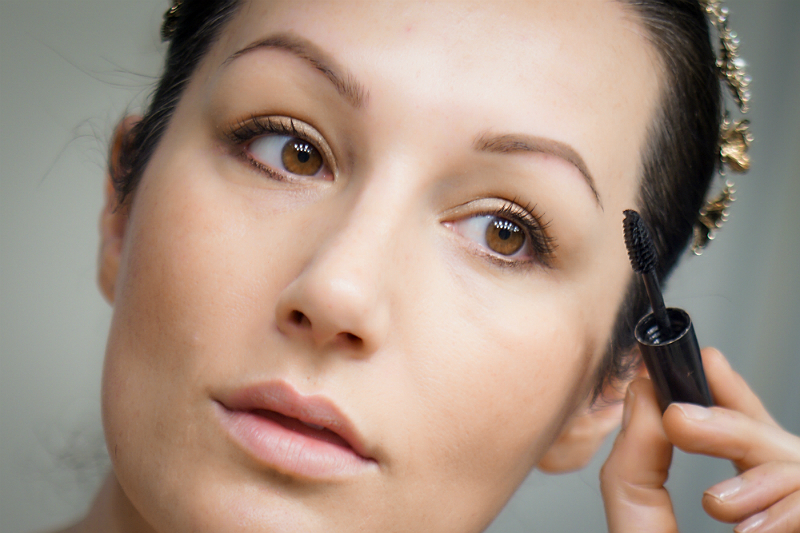 Step 14: Last, but certainly not least, to help your makeup stay on longer and to give you a radiant glow, use a setting spray (like BareMinerals Dew Mist Setting Spray). For more inspiring festival beauty looks and tutorials, check out the Makeup and Hair sections on I&C.